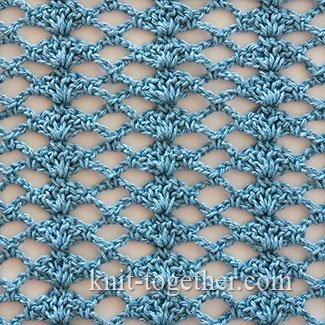 This is very beautiful crochet stitch pattern: the shells in the mesh. 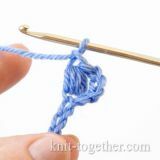 It will be look impressive on the summer blouses, the dresses and etc. 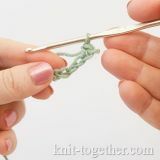 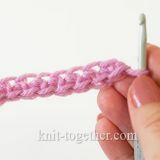 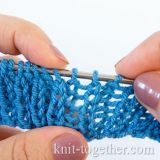 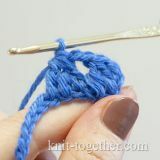 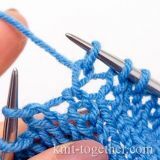 For a swatch make chain stitches a multiple of 10, plus 2 chains. 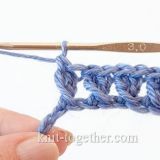 4 row: 1 single crochet, 5 chains, 1 single crochet in space between 2nd and 3rd of four double crochet of previous row, 5 chains, * 1 single crochet in space under five chains of previous row *, 5 chains, 1 single crochet in space between 2nd and 3rd of four double crochet of previous row, 5 chains, 1 chain in last chain on turning chains of previous row. 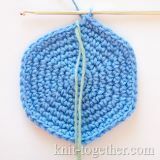 Then the pattern repeats from 3rd row.